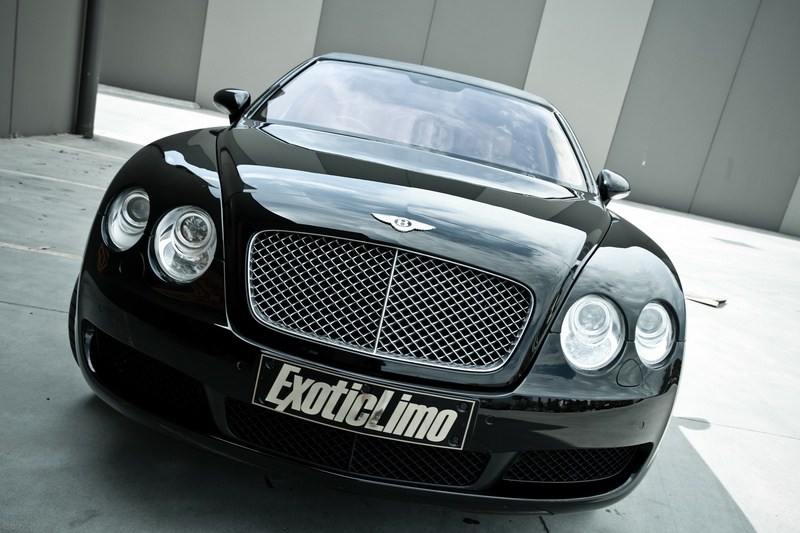 The Black Bentley Continental Flying Spur is a truly exceptional chauffeur driven luxury stretch limousine. 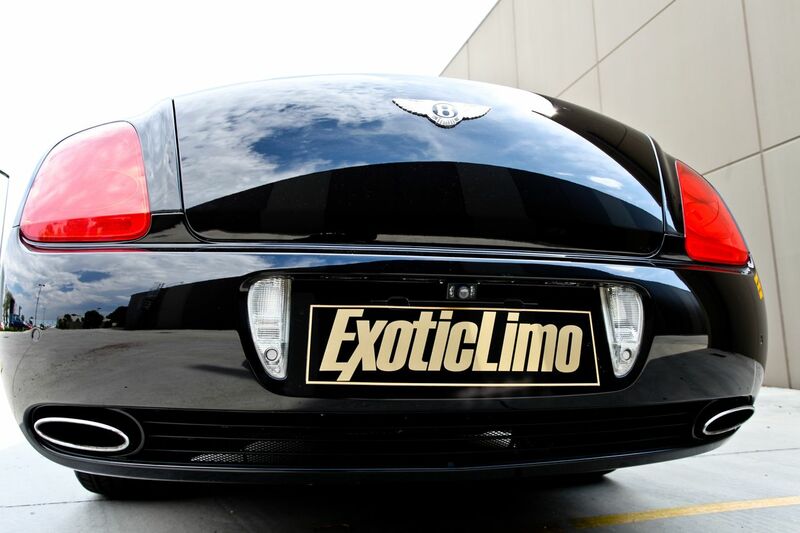 It combines unsurpassed levels of comfort, beauty and style into an amazing package of automotive excellence. A multitude of features are available to passengers via the modern touch screen interface, which allows for complete control of your journey based around your requirements. Lighting, music, climate control and more are all available for you to manage according to your individual needs. 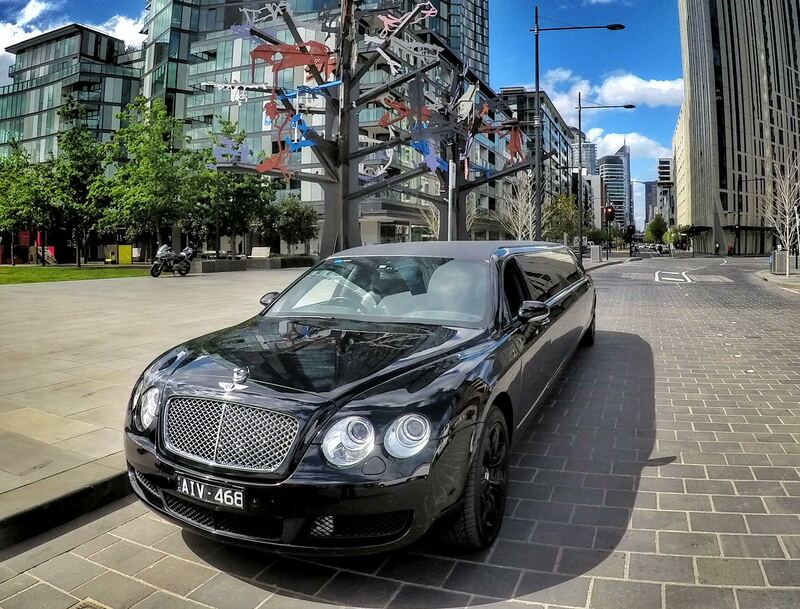 When traveling in our chauffeur driven stretch Bentley Flying Spur, the world just seems different. It’s as if YOU pass by others, they don’t pass by you. 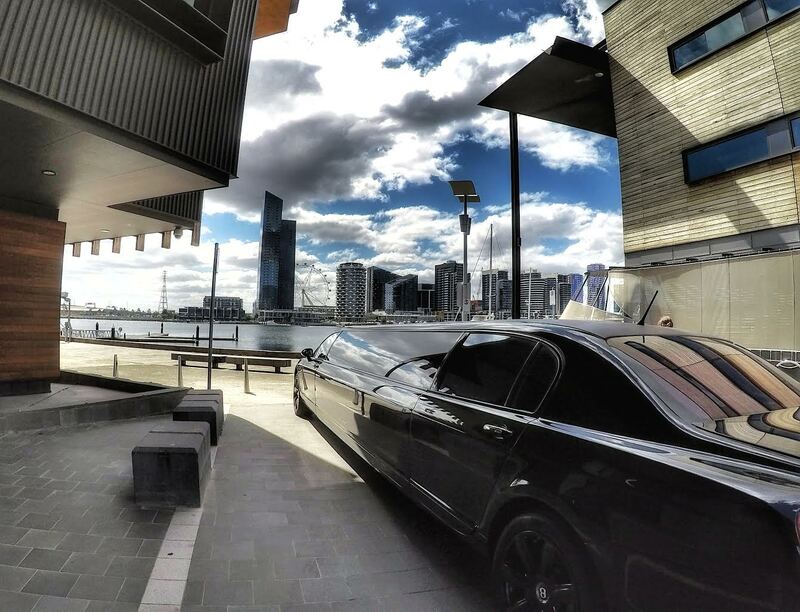 It has a towering presence on the roads of Melbourne, cutting a swathe through traffic as it whisks you gently from location to location, dropping jaws and extracting finger points from onlookers who fumble for their cameras. 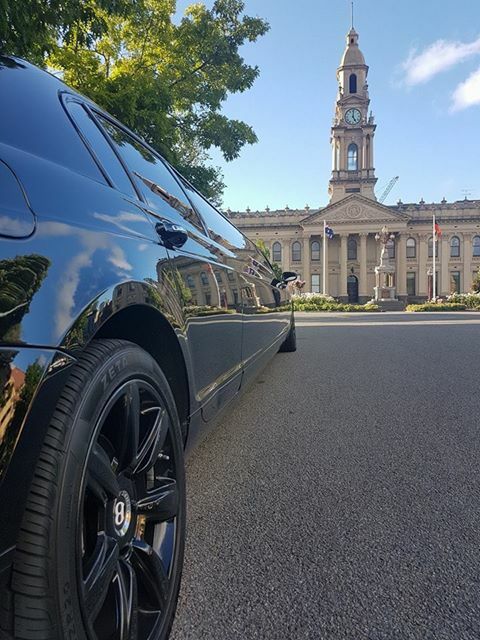 The Black Bentley Continental Flying Spur compliments ostentatious, stylish and prestigious celebrations. 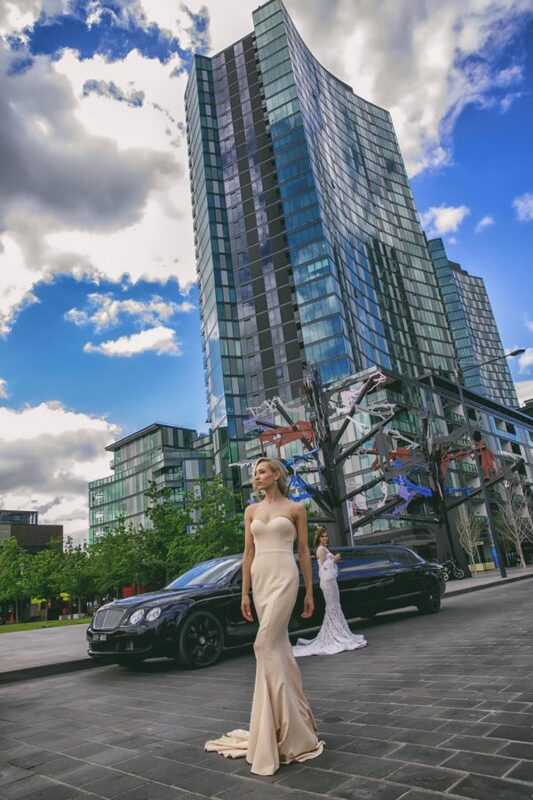 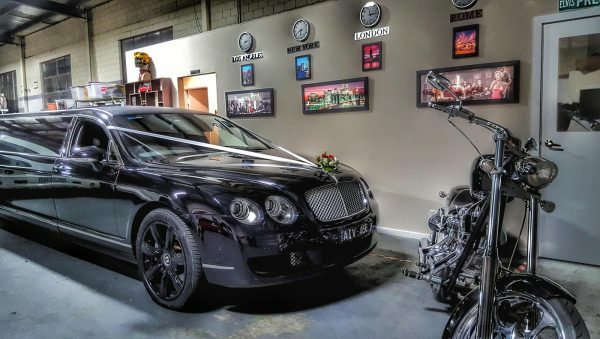 Its handcrafted interiors, grand presence and state-of-the-art technology make the Bentley experience ideal for weddings and other such special occasions. Bentley vehicles are renowned for possessing a regal quality, and this fine example of luxury transportation indulges an ever-captivated audience with servings of 5-Star features. 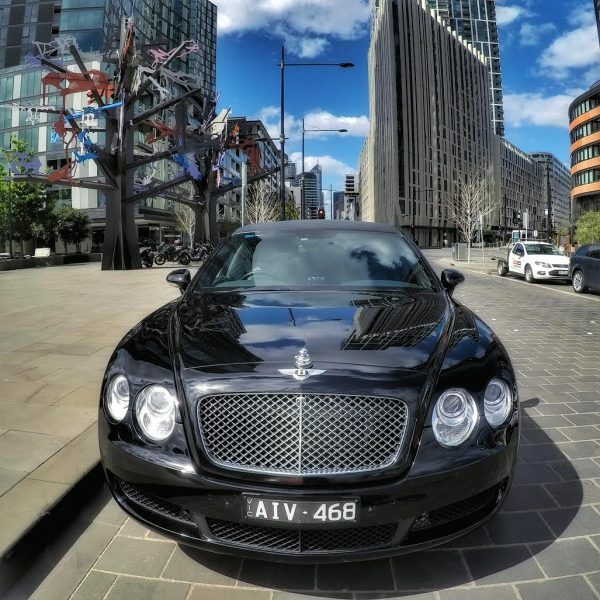 Excitingly, you can now book this vehicle in unison with its ‘pigeon pair’ twin, as we also offer a stunning White Bentley Continental Flying Spur to our customers. 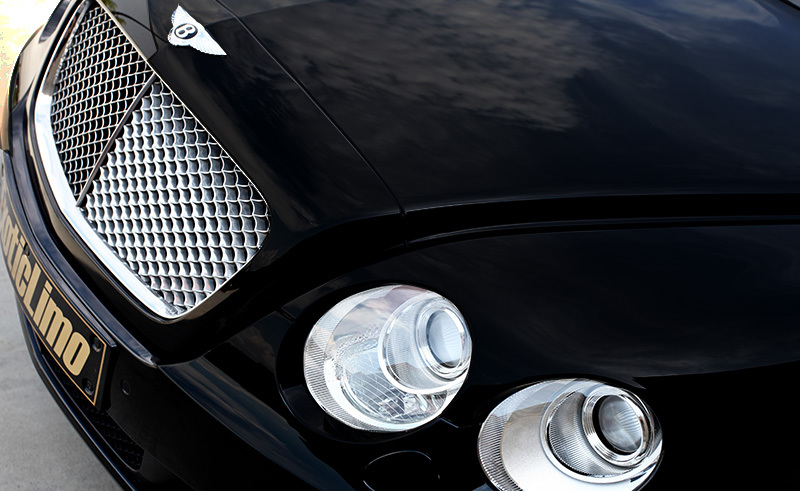 We like to say ‘a vehicle so nice, we built it twice…’. 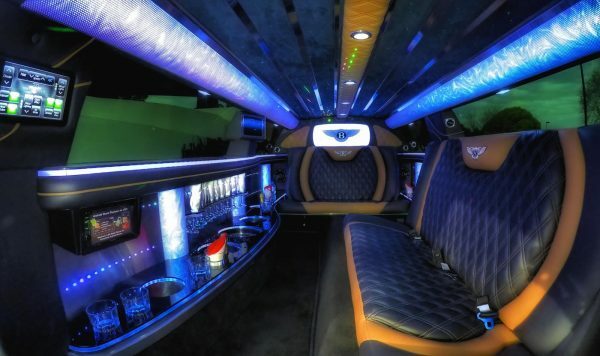 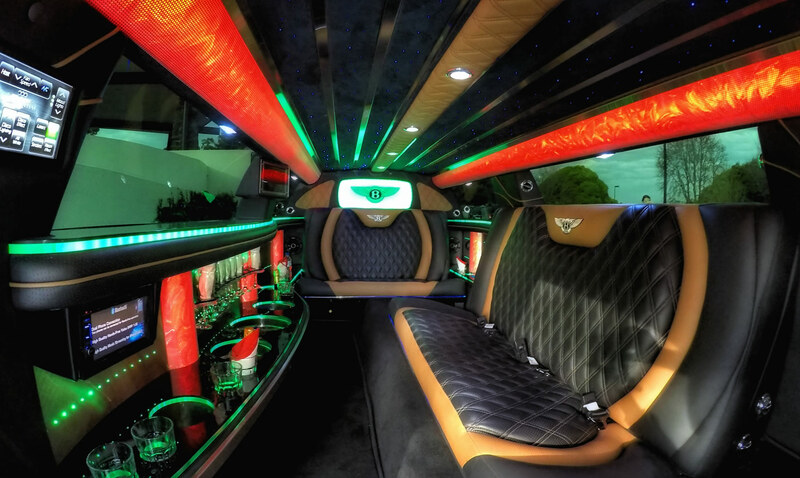 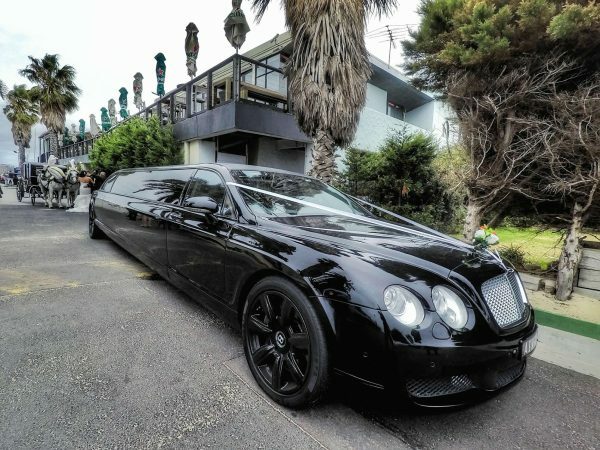 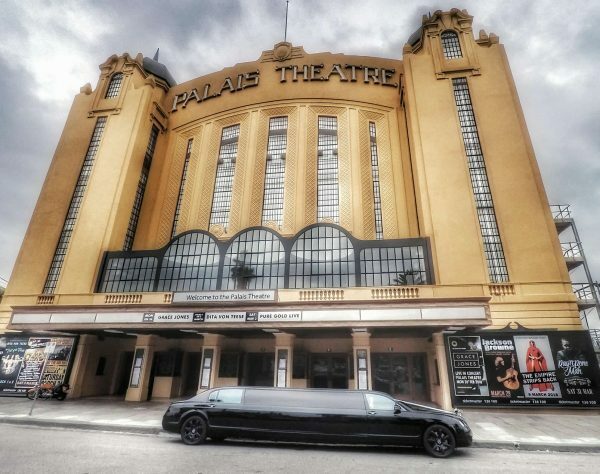 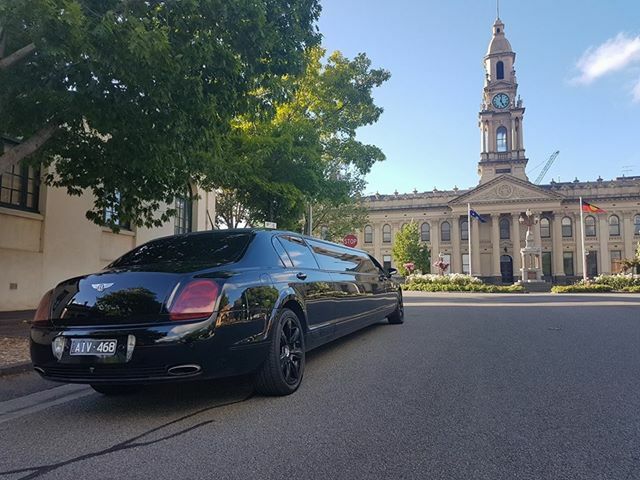 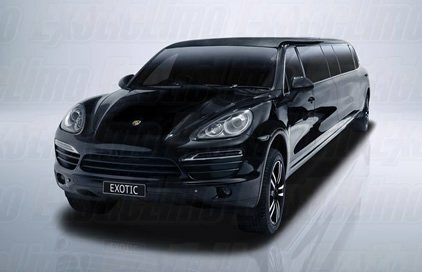 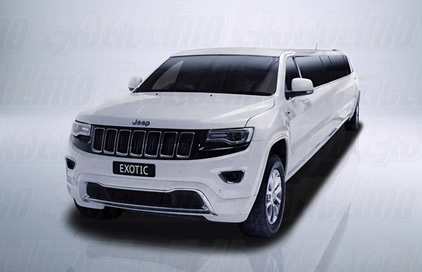 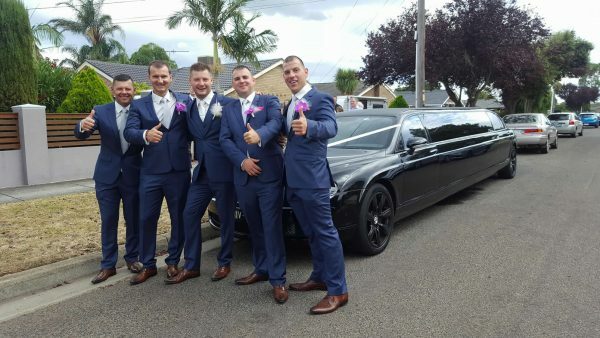 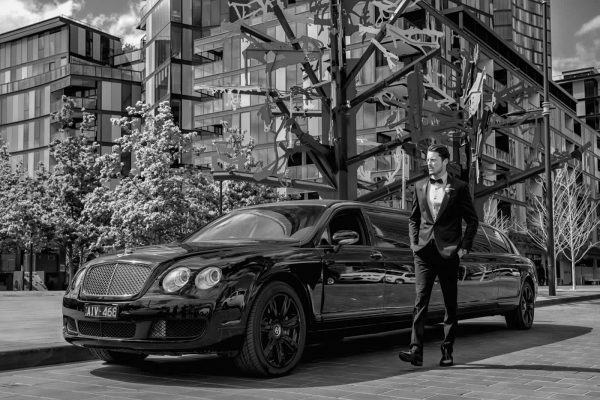 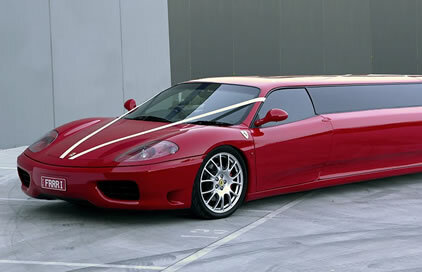 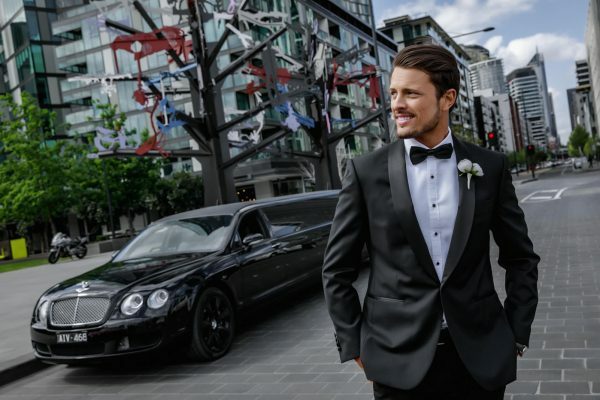 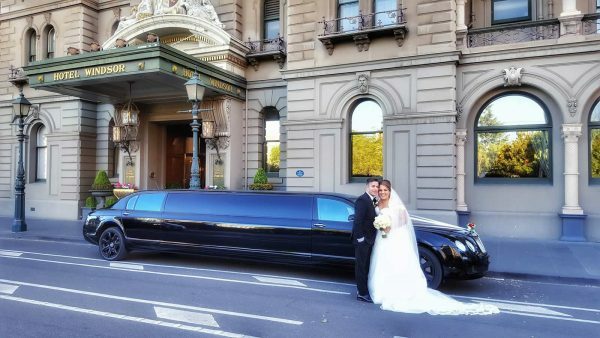 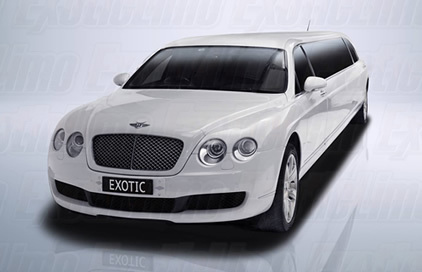 Exotic Limo is proud of our long history and research will tell you that our esteemed reputation within the luxury transportation industry in Melbourne is second to none. 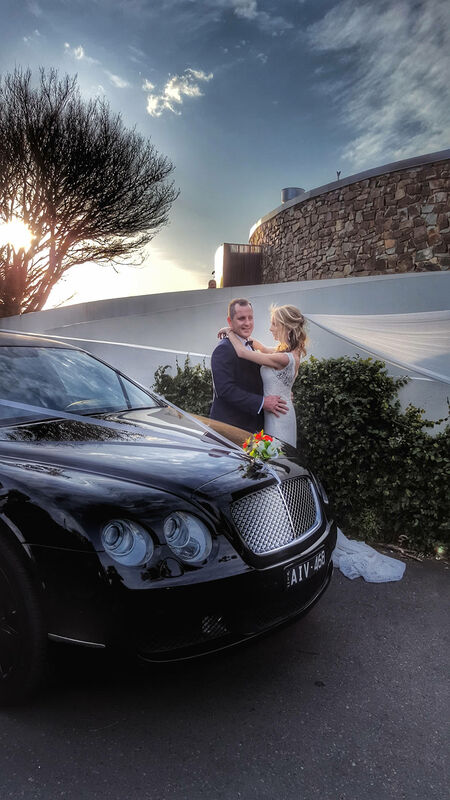 We have completed literally thousands of weddings over a 30 year period, and therefore pride ourselves on knowing everything there is to know about providing first-class service – from the initial time you contact us, right though to the final moments of your booking. 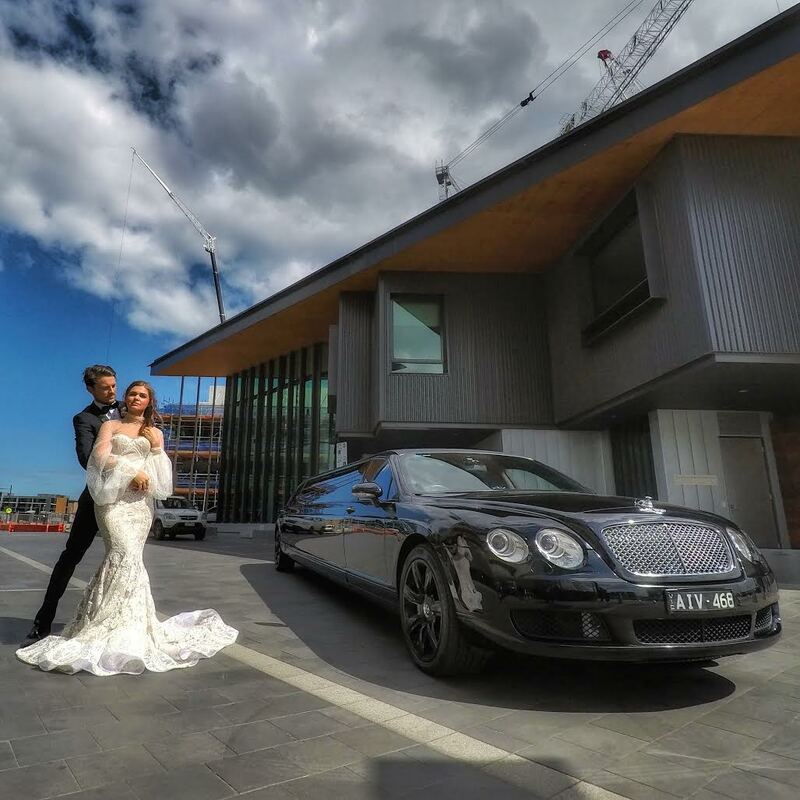 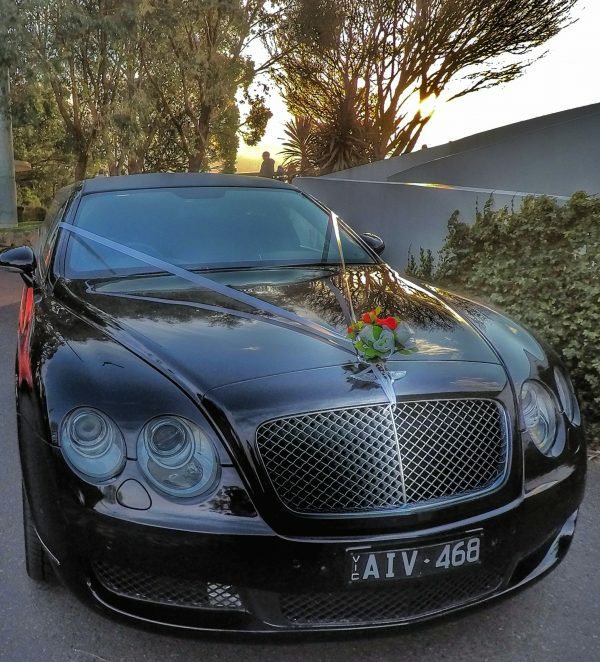 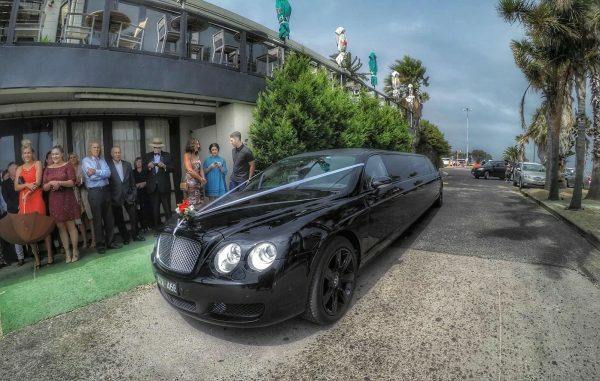 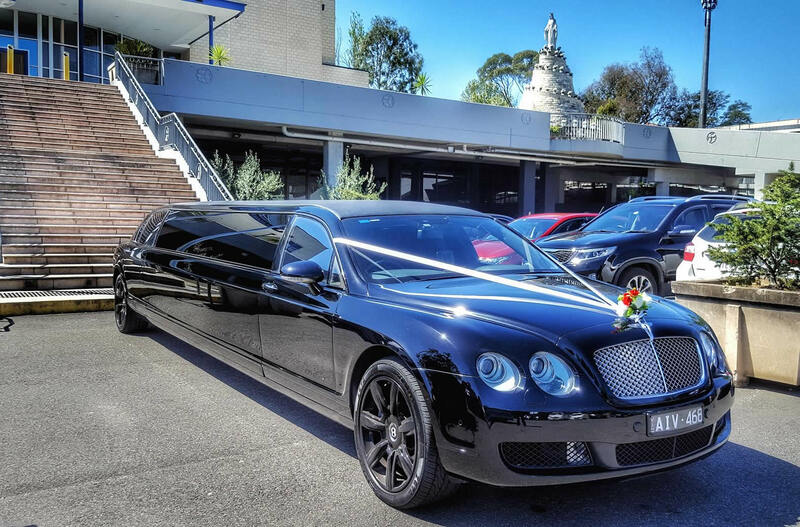 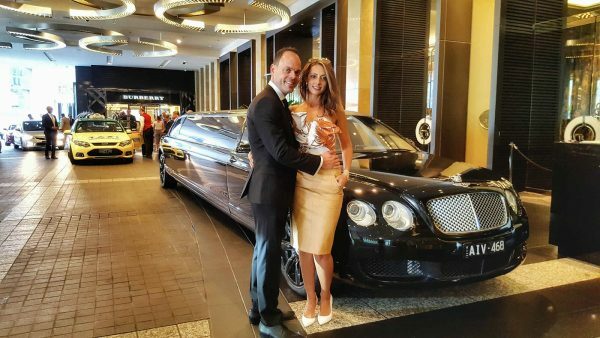 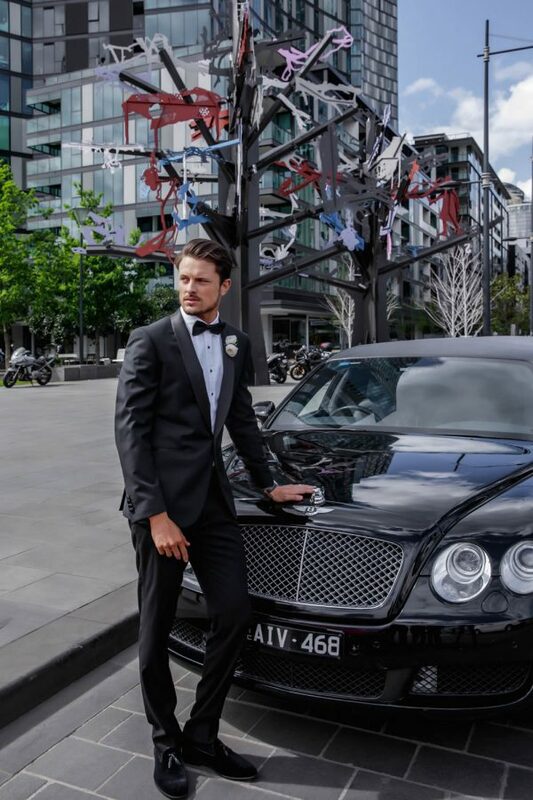 Call 1300 532 532 TODAY to find out about the exclusive Bentley Wedding Packages available for YOUR special day!